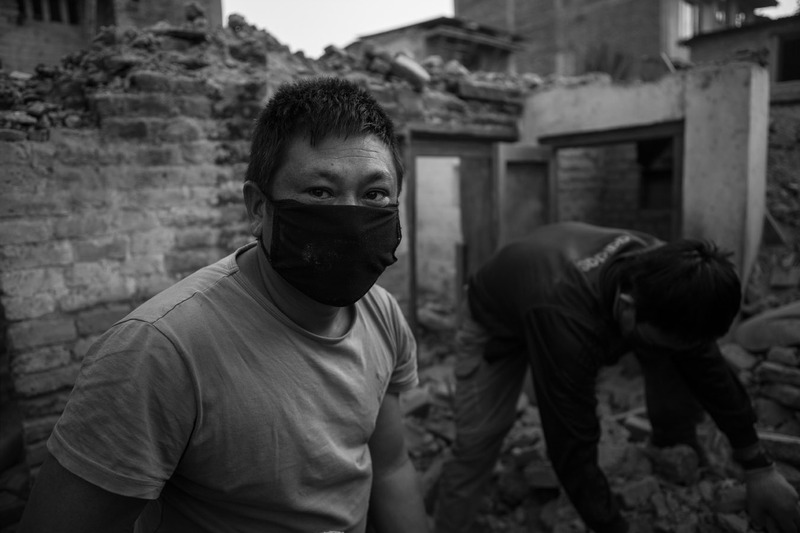 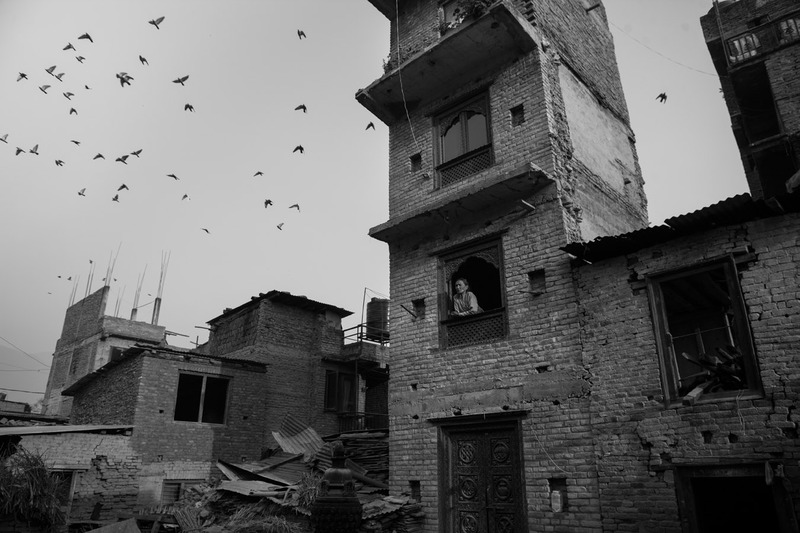 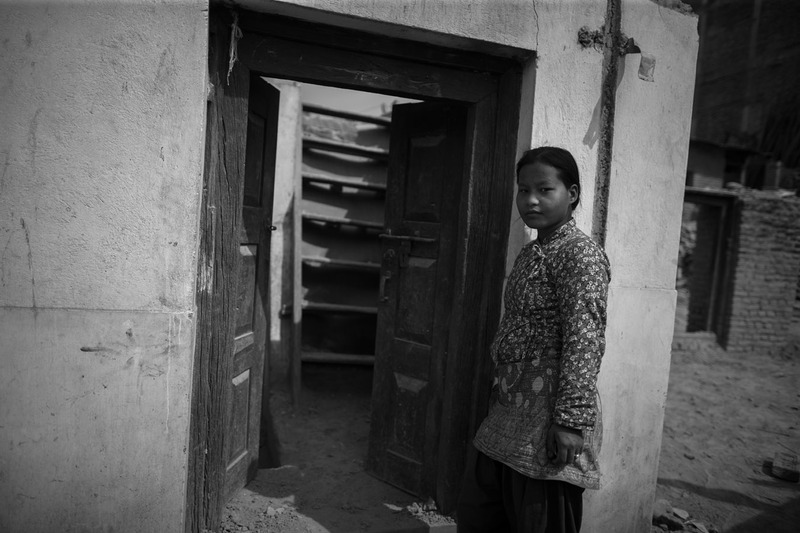 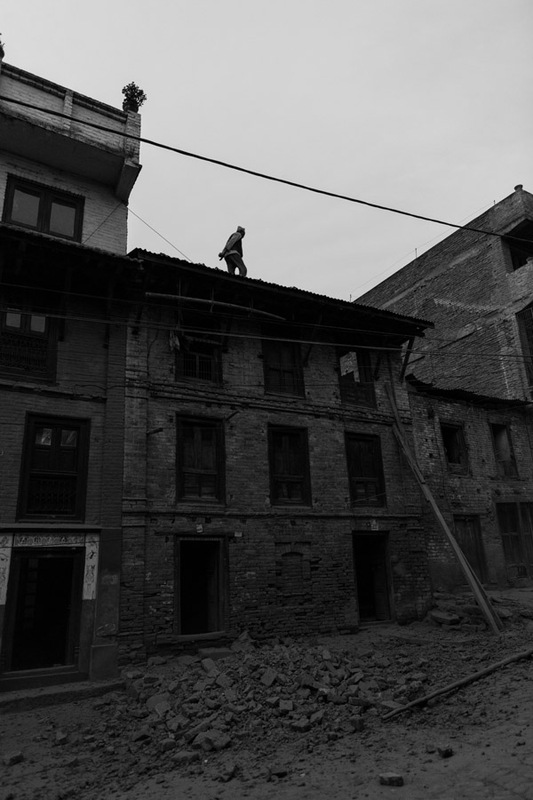 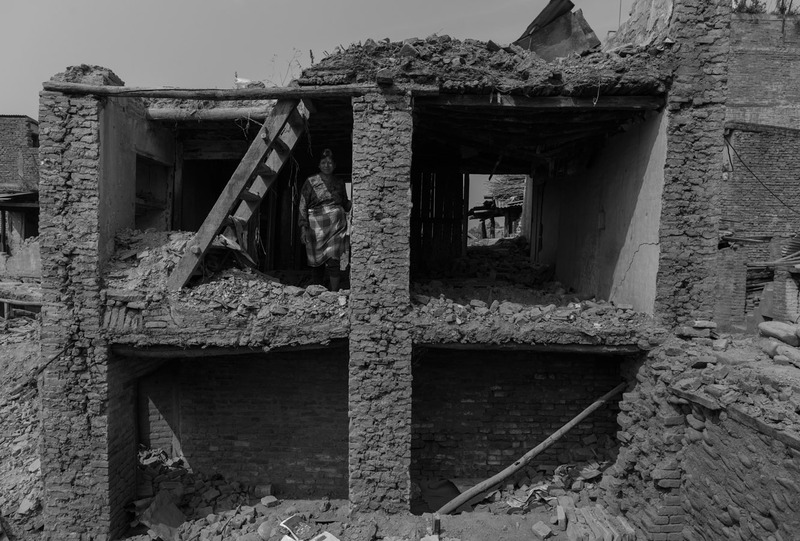 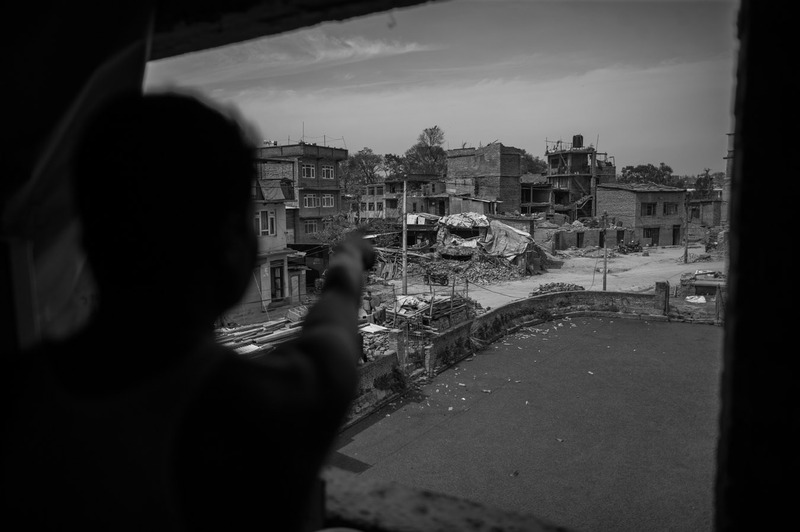 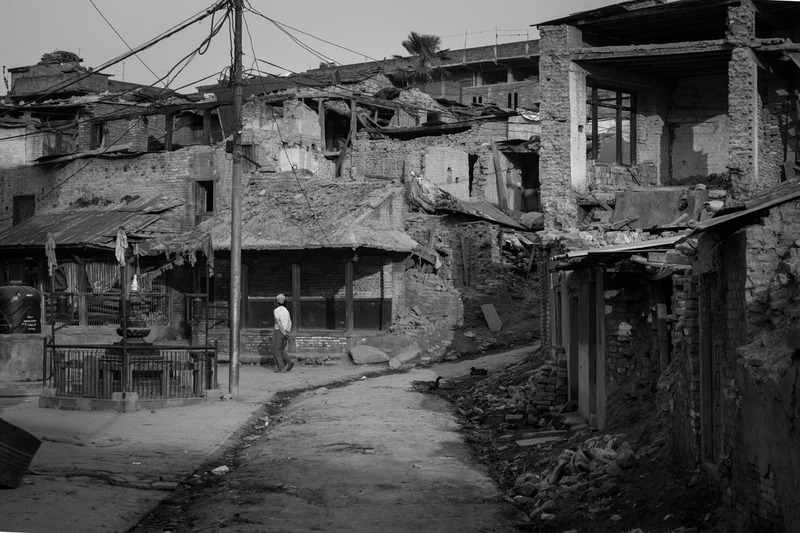 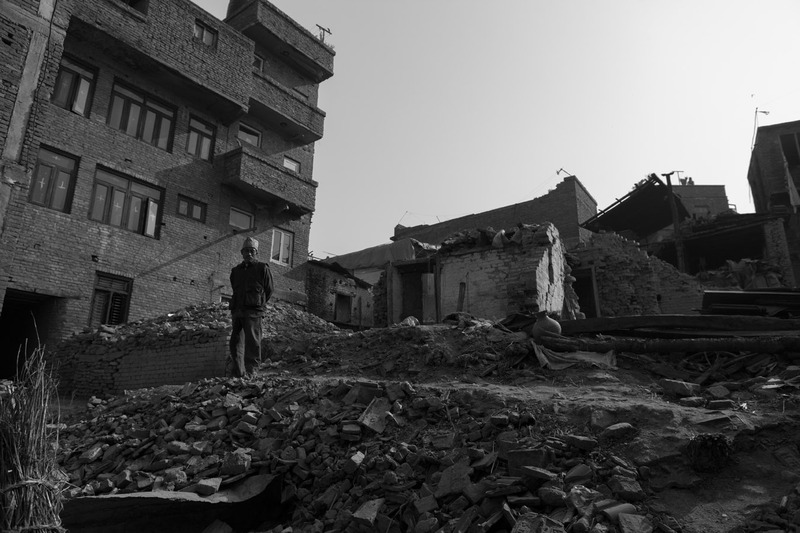 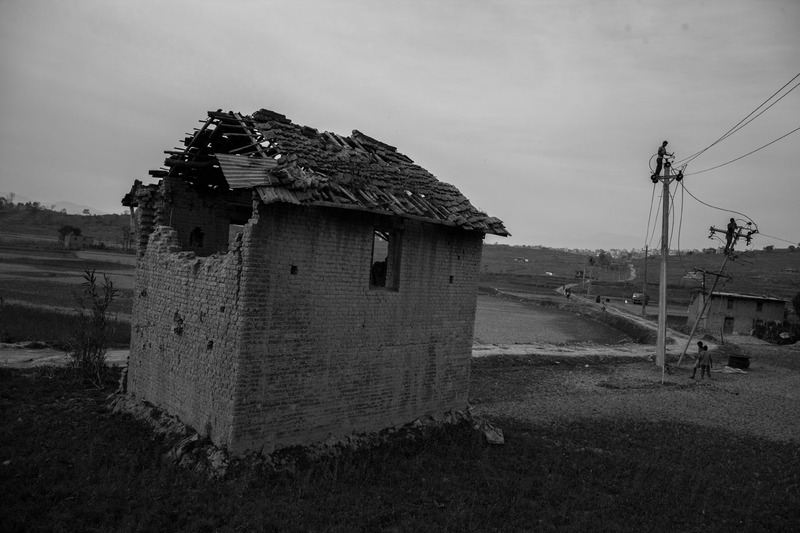 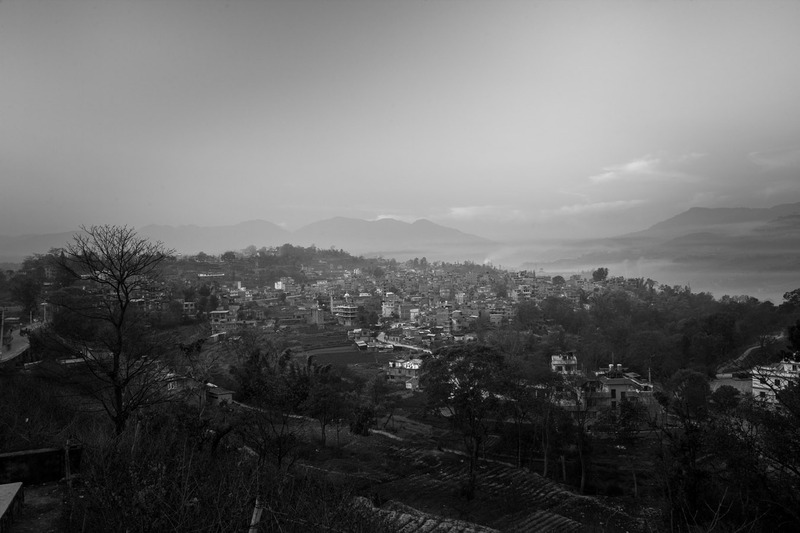 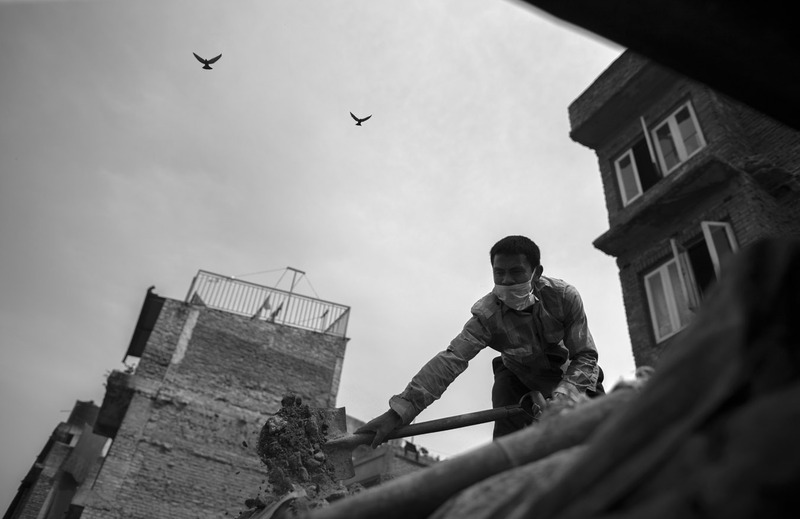 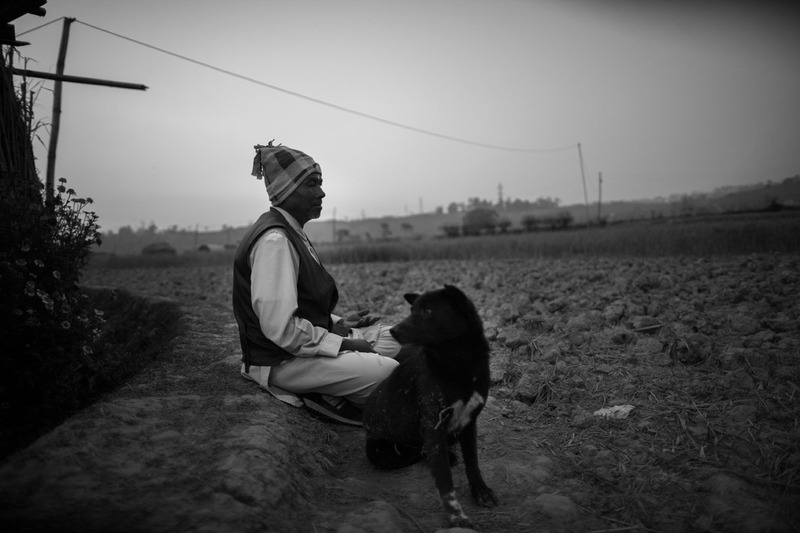 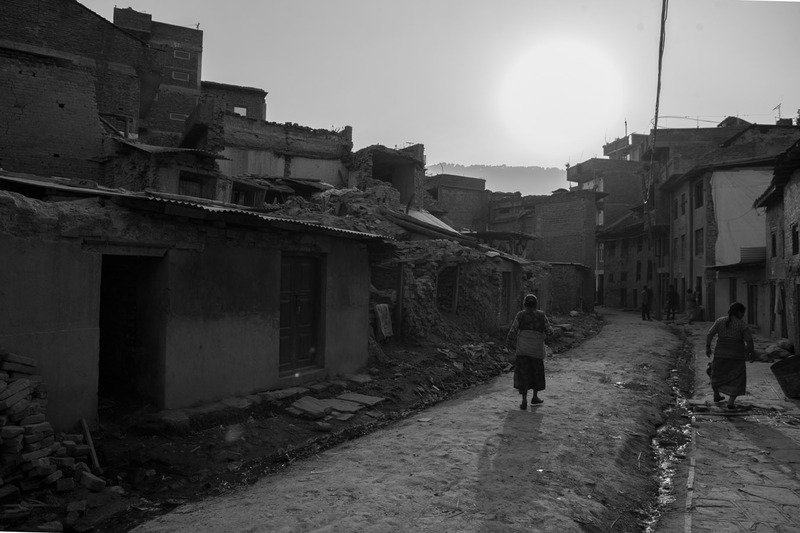 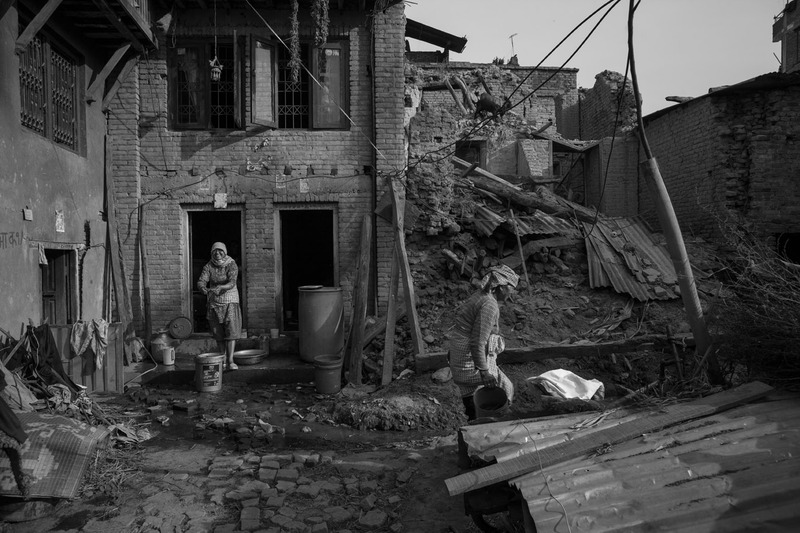 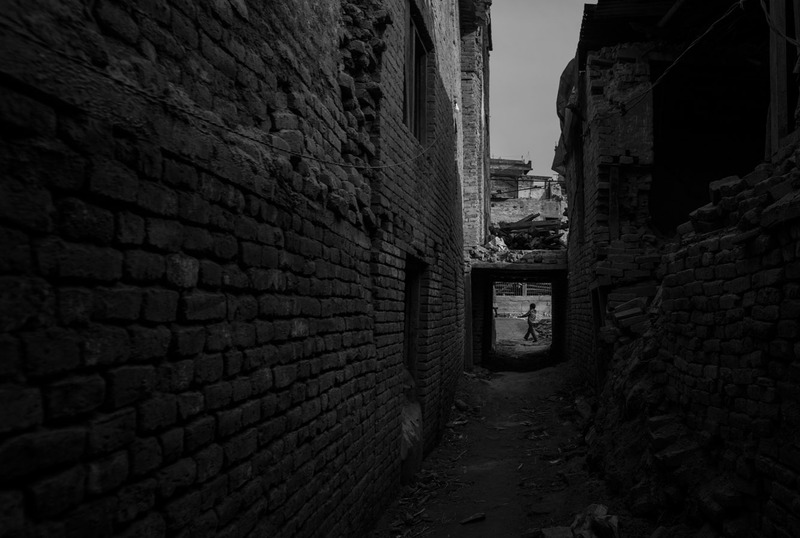 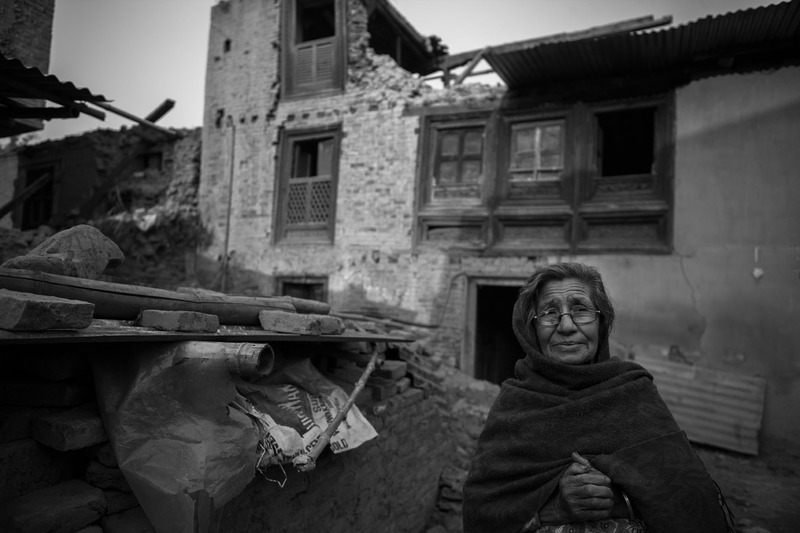 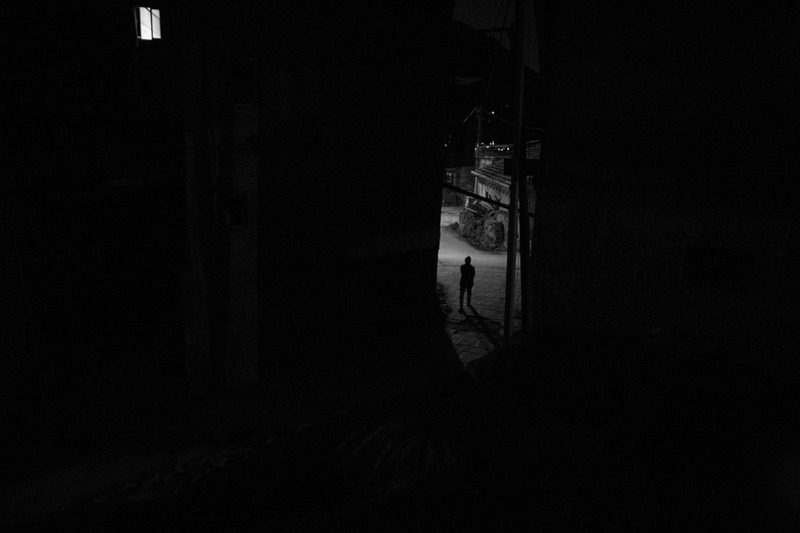 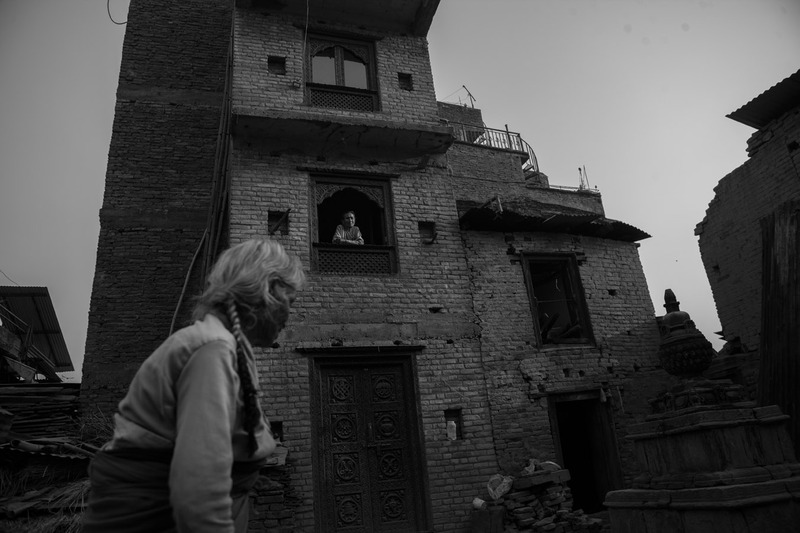 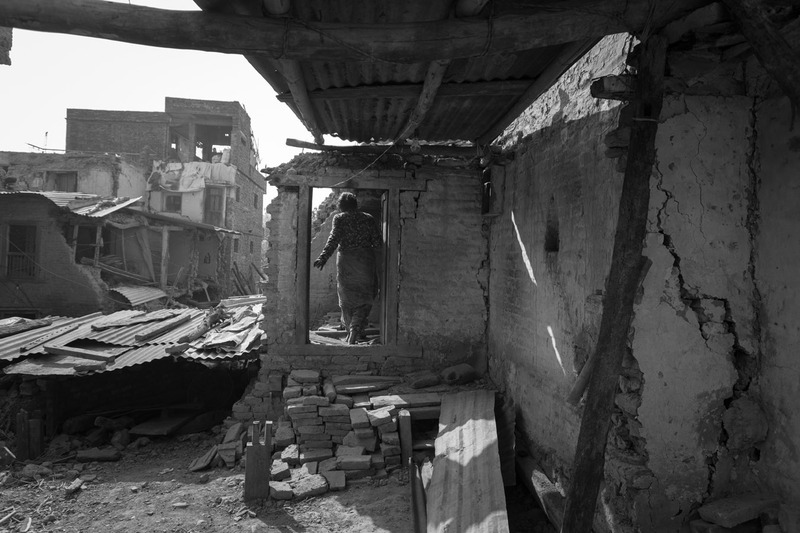 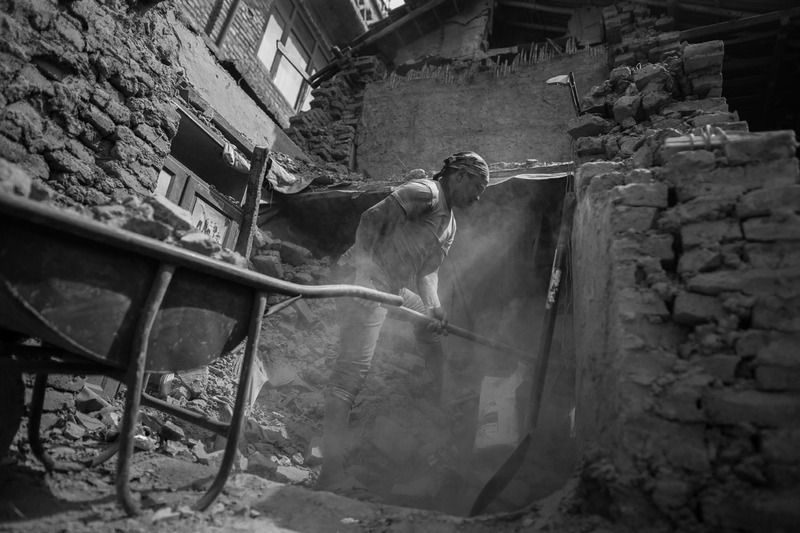 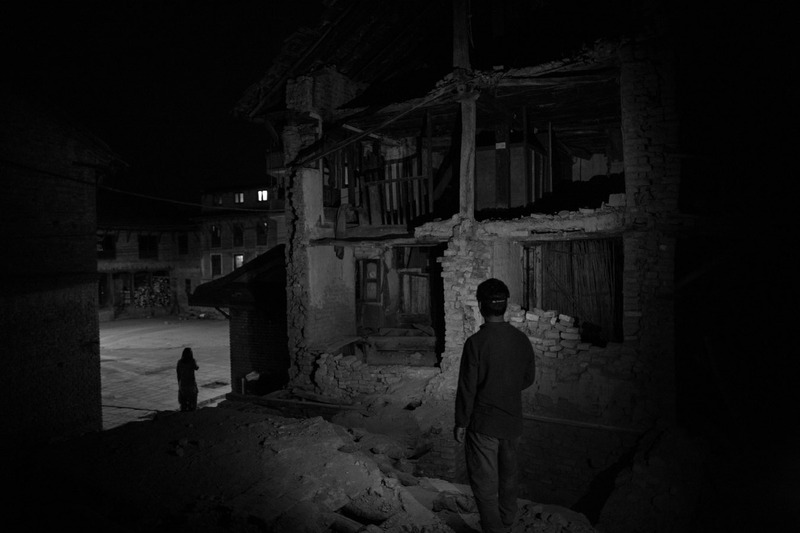 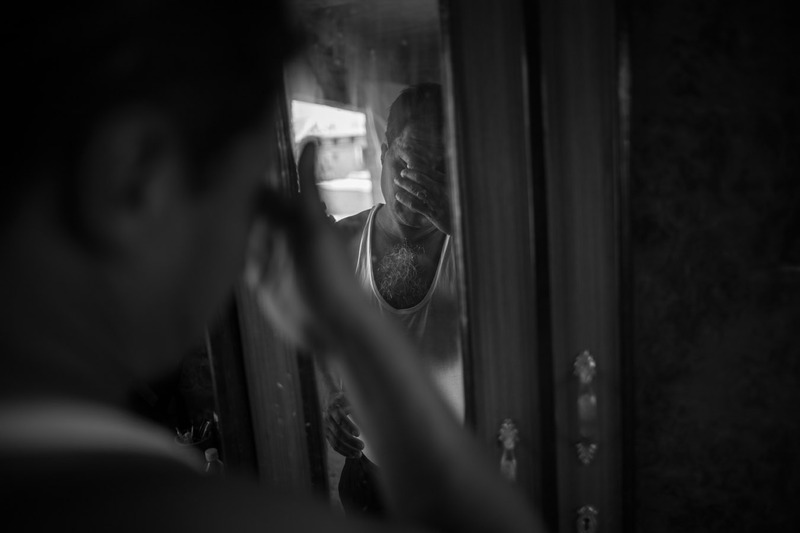 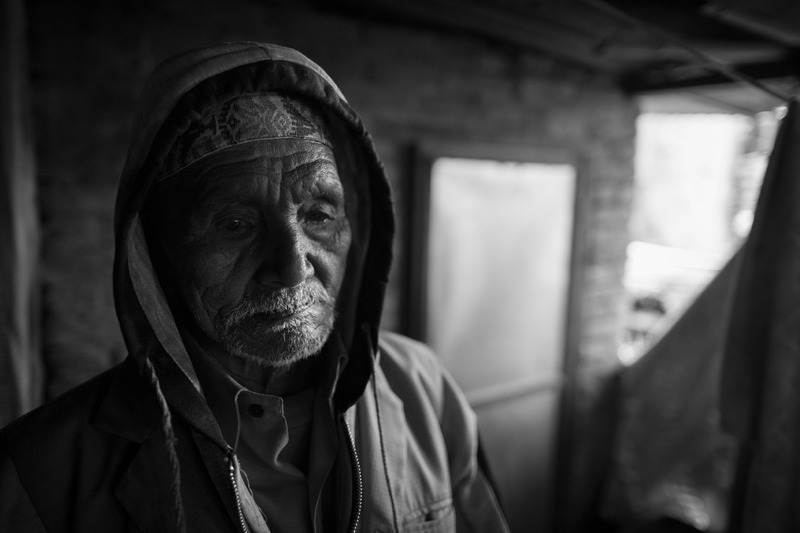 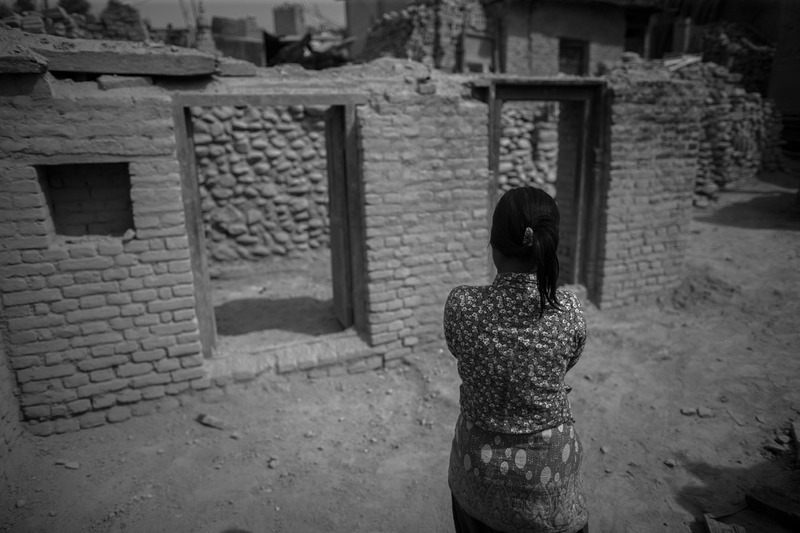 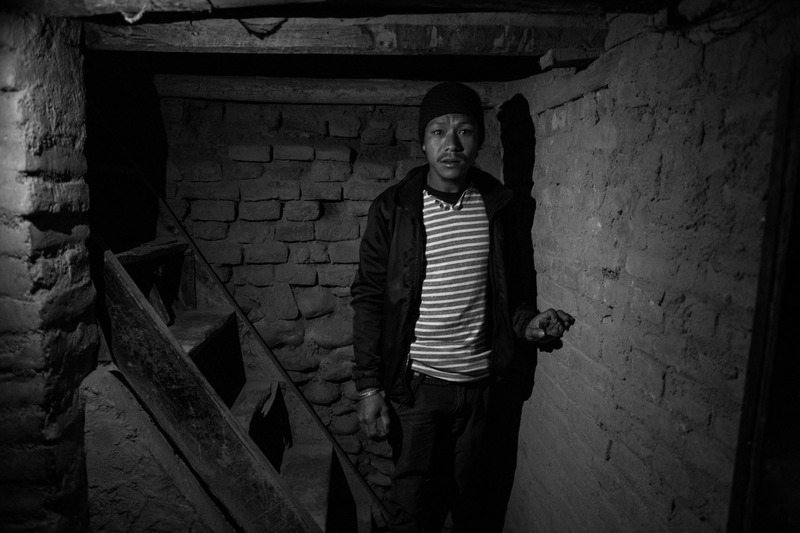 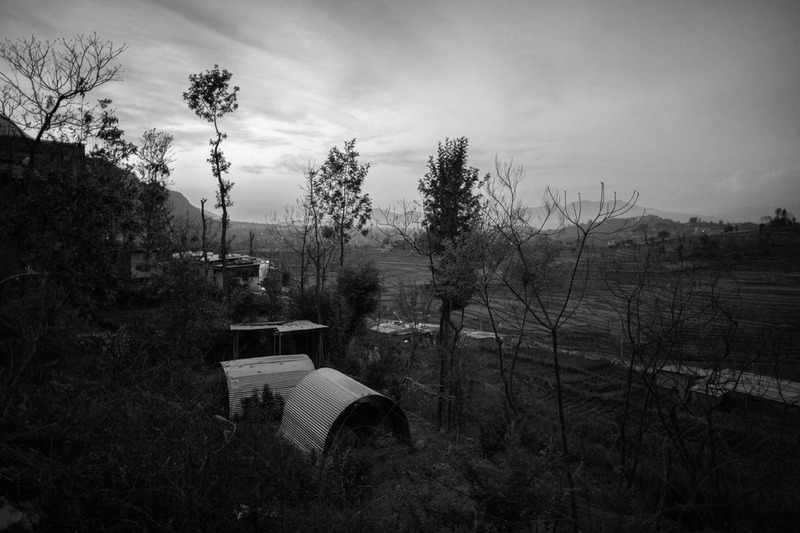 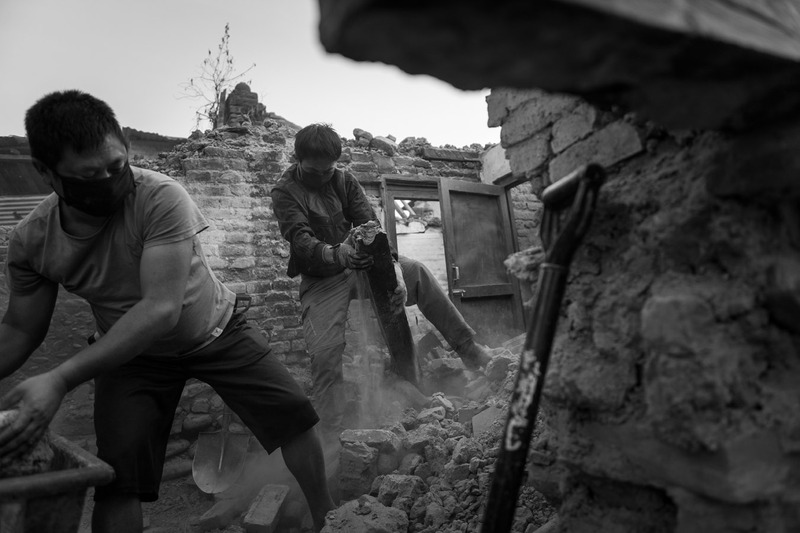 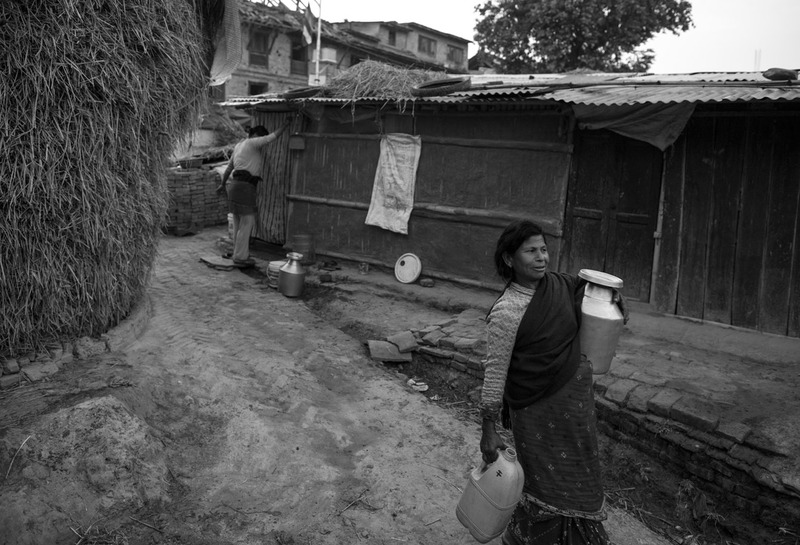 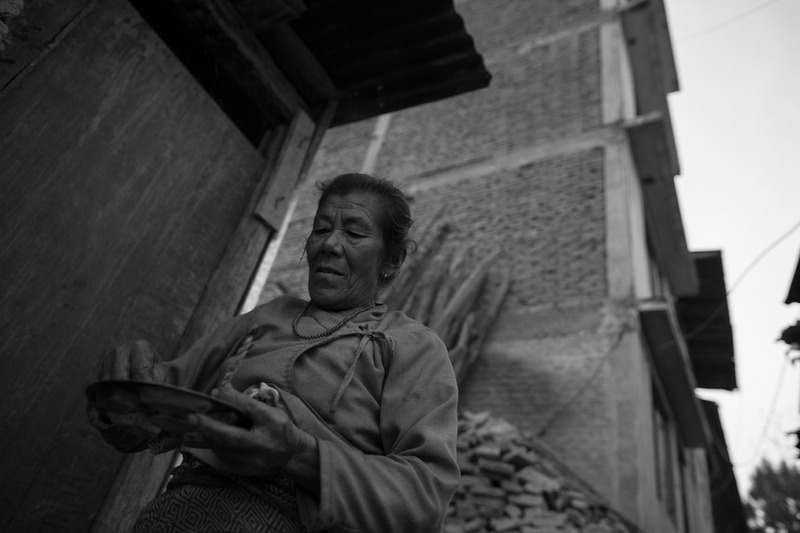 In Kokhana, a village at the outskirts of Kathmandu, the situation after the earthquake in April 2015 is still implacably hard. 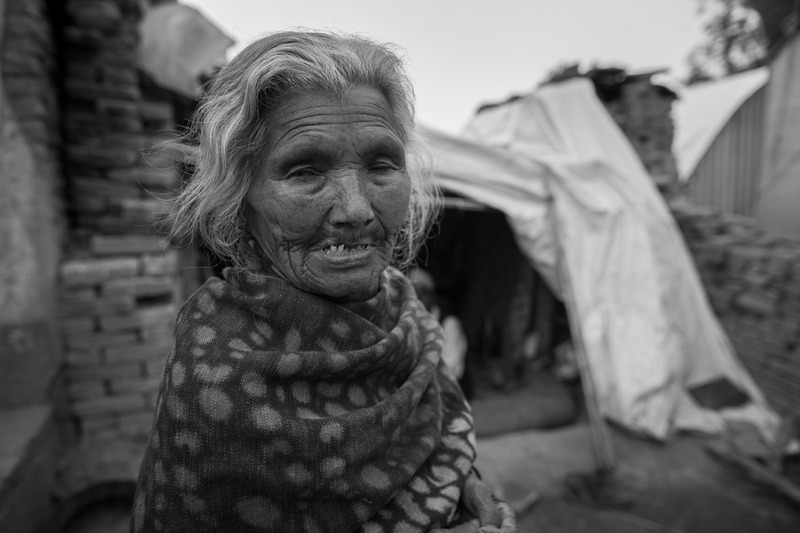 Its inhabitants, most of them without any resources, survive with the best of their smiles, despite suffering from distress and depression after the disaster. 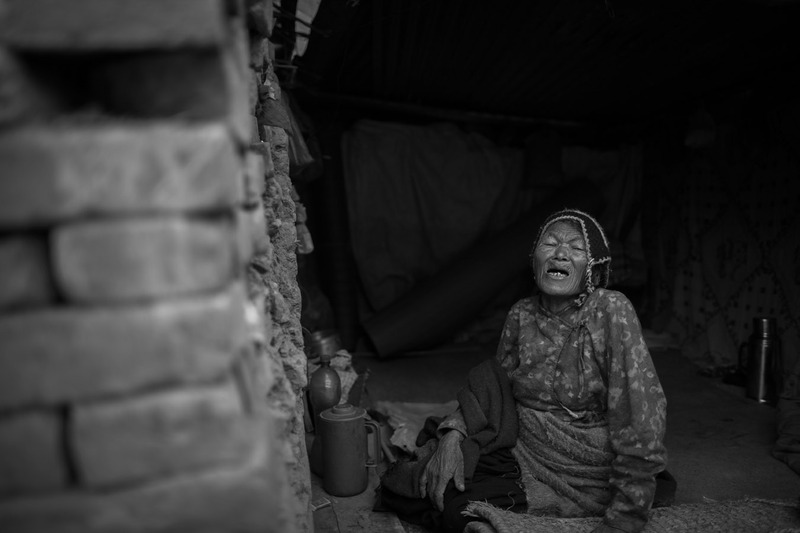 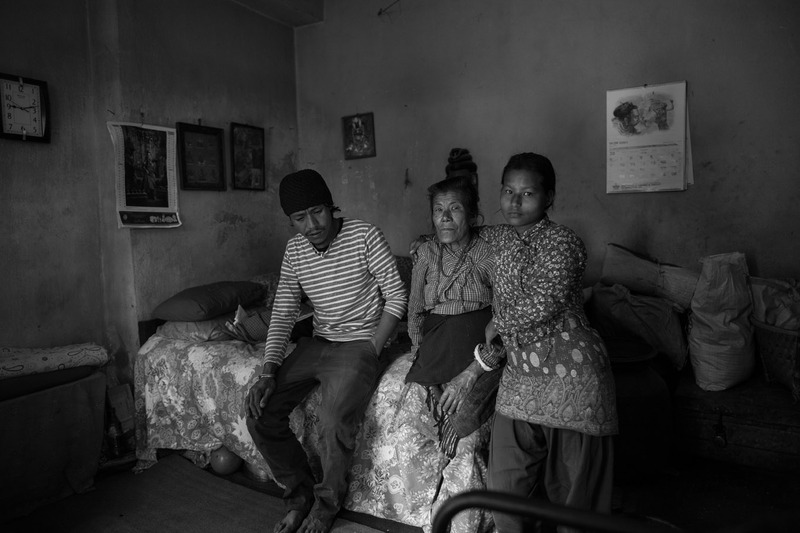 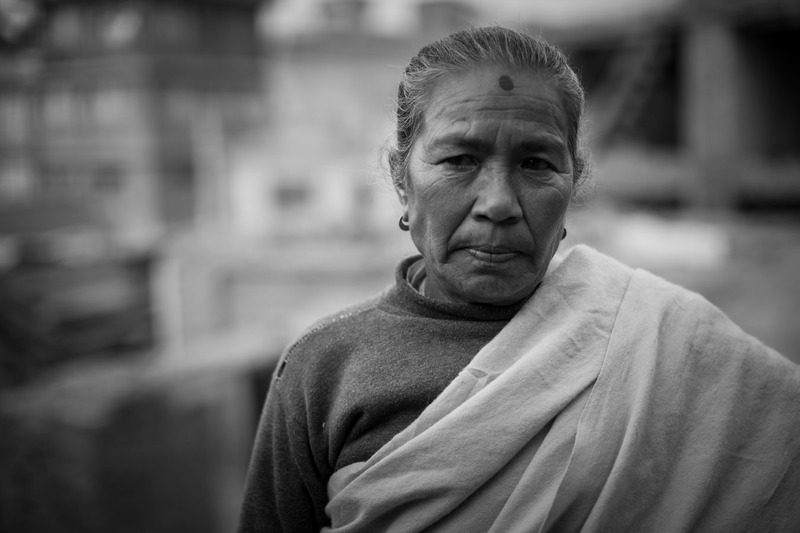 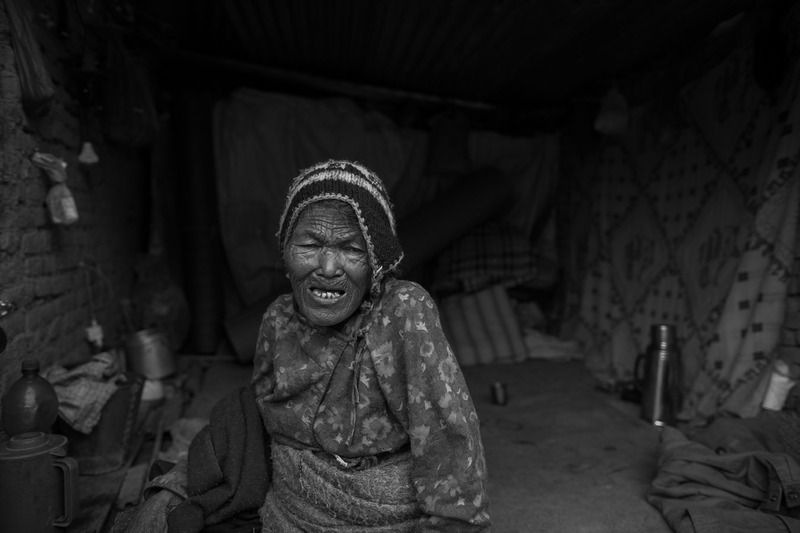 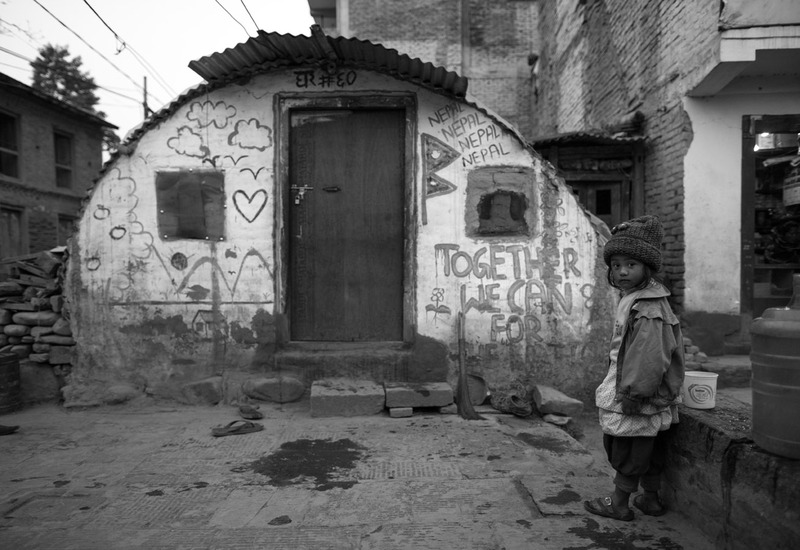 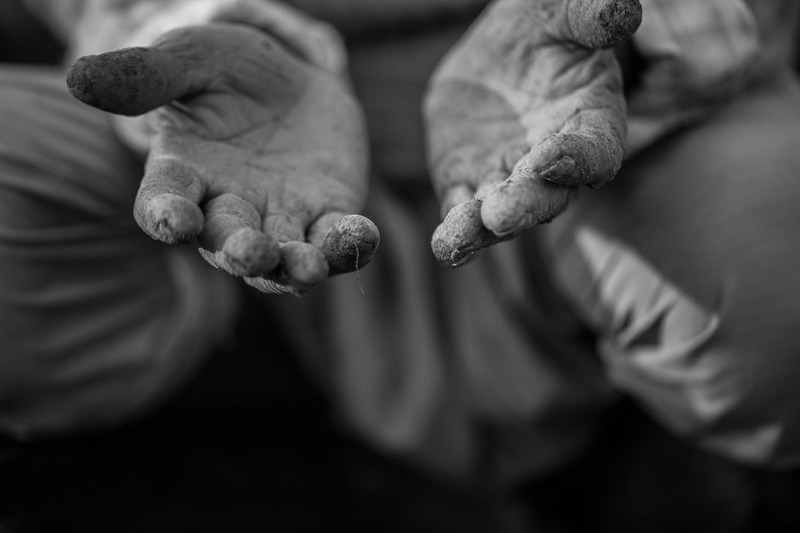 They have been waiting for eleven months what the Government promised them: two thousand euros for each affected family; out of which they have received absolutely nothing, since many international aids remained in the pockets of the Government of Nepal. 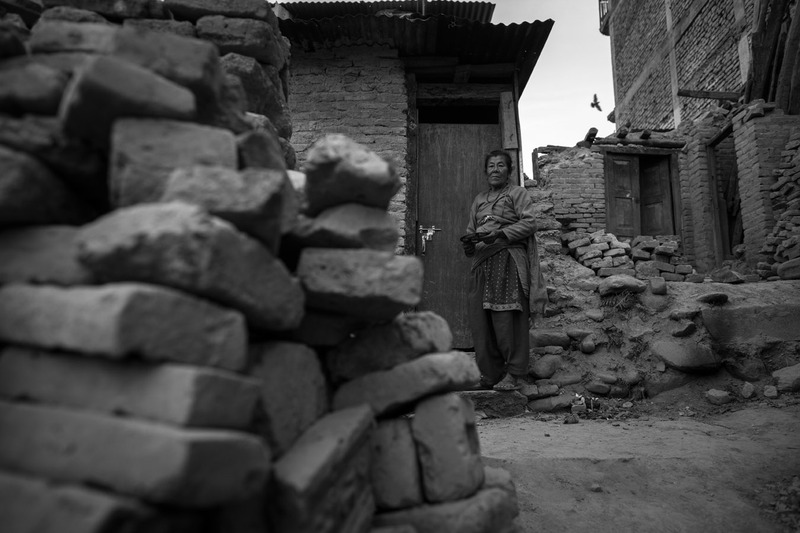 A few international aids from foreign organisations have helped some families build provisional dwellings… just four posts and a tin roof. 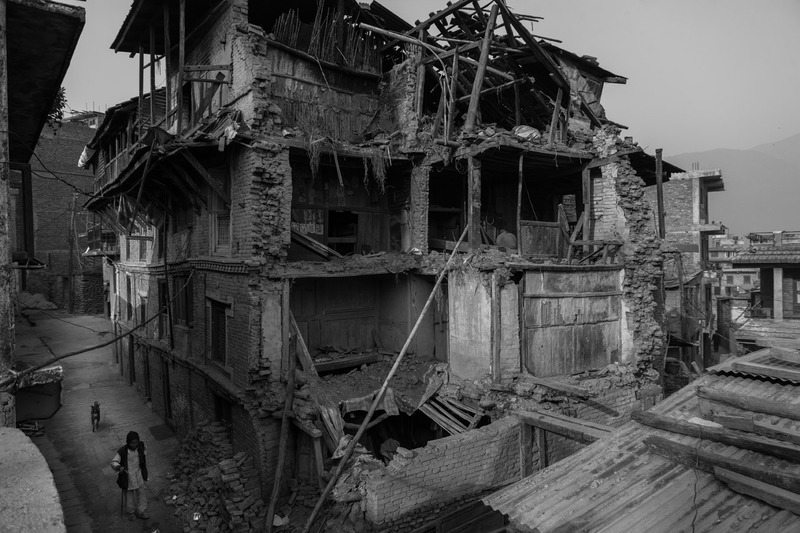 Everyone else must spend their nights in the few remains of their houses. 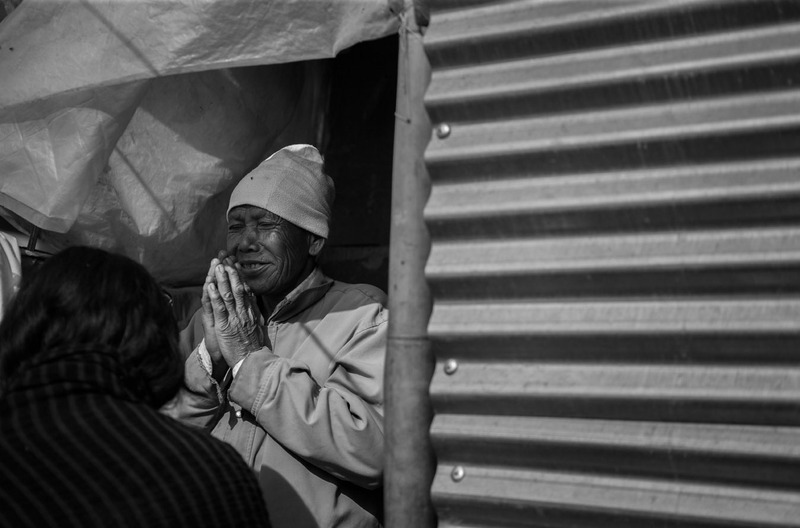 Compensating the cold weather conditions devastating the highest areas of this Community is even harder. 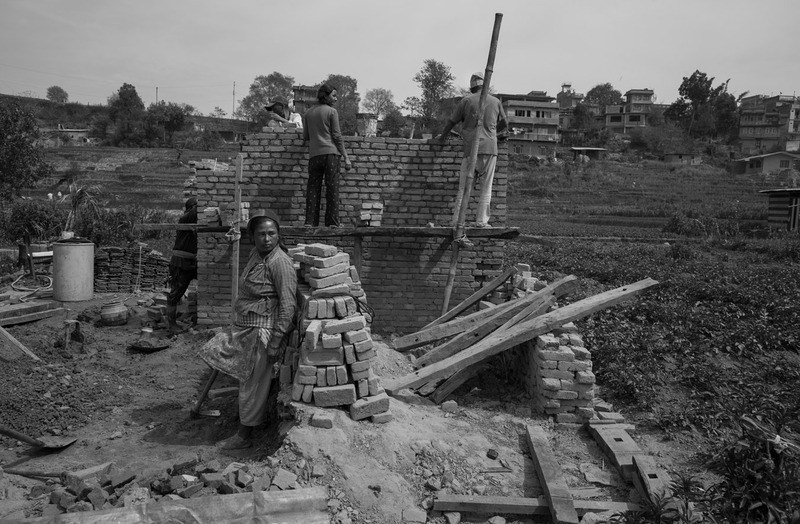 Some of them chose to build a simple dwelling by themselves, brick by brick. 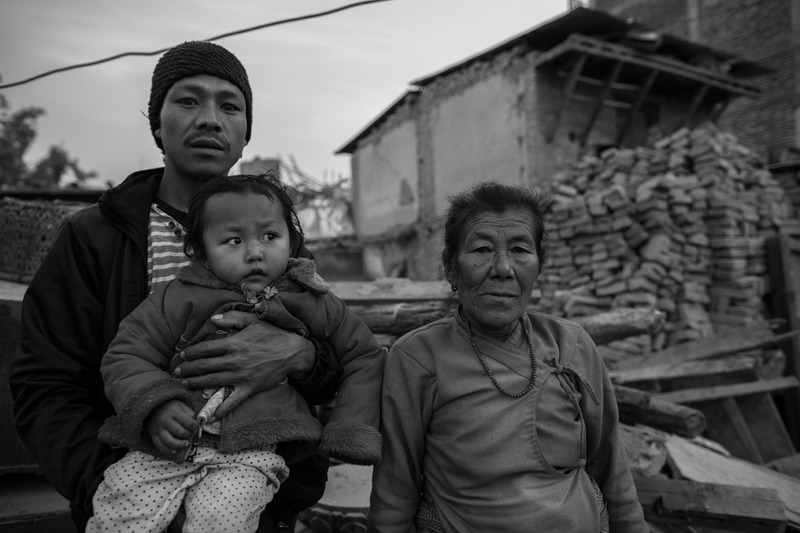 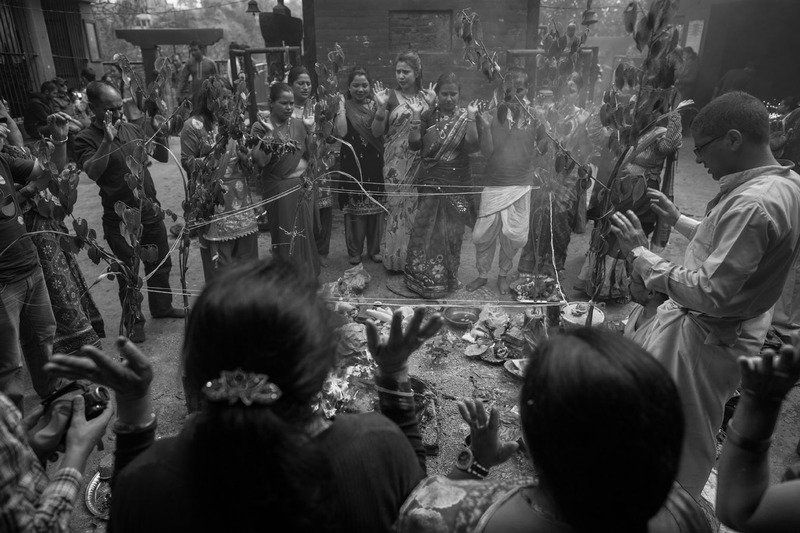 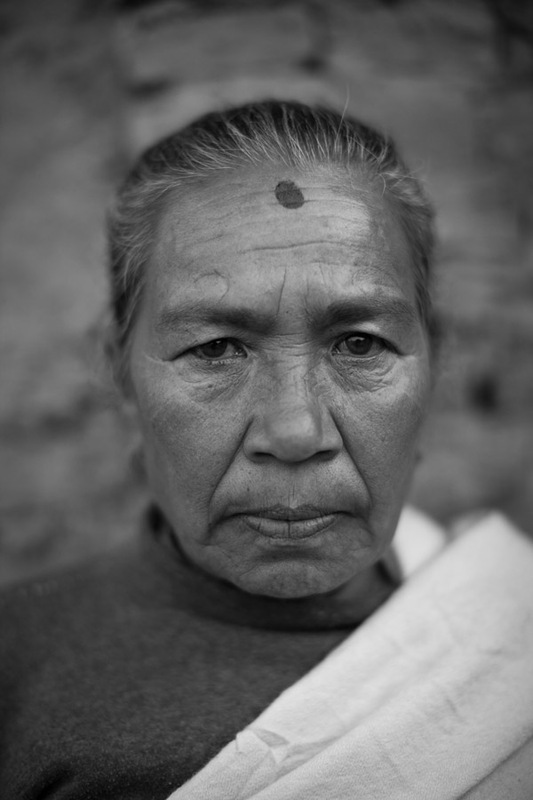 Their spirituality helps them face this hard experience with love and compassion for the beloved ones they lost, whom they venerate in their temples and houses, destroyed by the earthquake, every single day. 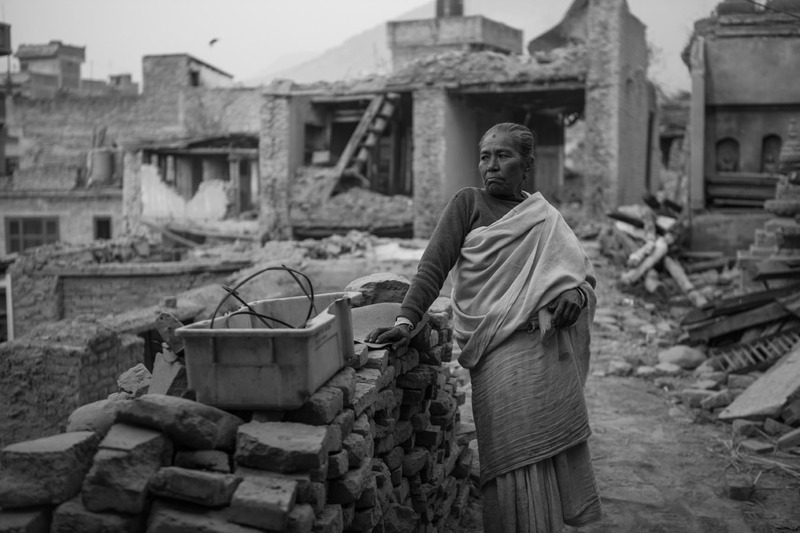 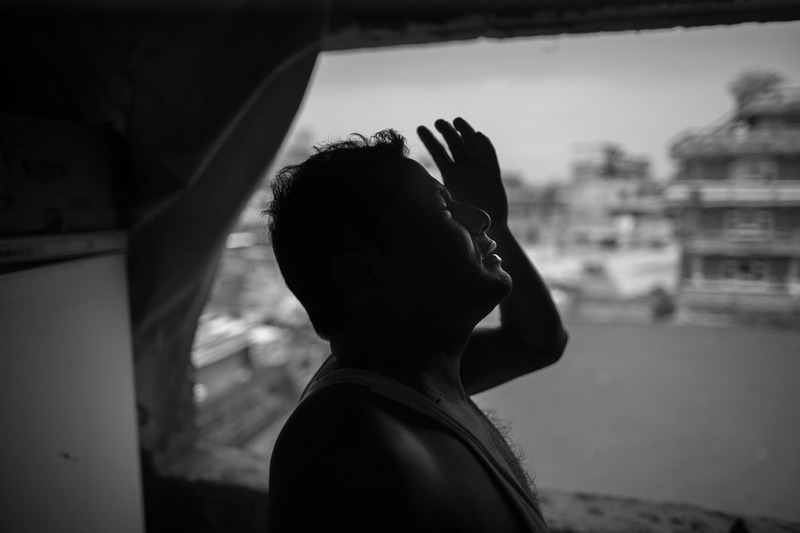 Hard stories that moved me deeply since, unfortunately, the most disadvantaged people are the ones who endure the consequences of natural disasters.